While the Cannon County Walking Horse Association (C.C.W.H.A.) is but a few days away from its annual Labor Day trail ride to Short Mountain, the organization is in the early stages of publishing a book on the history of the group. "The Association started in 1973, but long before that there was an annual horse ride on the 30th of May back in the early 1940s," said Benny Lance, president of the Cannon County Walking Horse Association. "We're getting started on a history book now to be published, hopefully, next year. "We're inviting everybody who has ever ridden these annual trail rides, even before the association began, to submit information to us before Dec. 31," Lance said of the book, tentatively titled "The Ride." In the meantime, this weekend's ride will leave the Woodbury fairgrounds at 11 a.m. Saturday. The route goes through town on Highway 70 to Highway 53 North and then turns right on Seals Hollow Road around the north side of Short Mountain Road to the C.C.W.H.A. campground. Lance said the association currently has about 1,050 members, and he anticipates between 100 to 300 riders for this event, noting, "The Labor Day Ride won't be as big as the Memorial Day Ride because it's during Celebration time." The Saturday ride is a membership-only event. Annual memberships are available for $50 for ages 13 and older; $5 for children ages 5 to 12 (with an adult membership); and ages 4 and younger may participate for no charge. However, this event features a "Weekend Only" pass for adults for $25. "Anyone can join the association. You don't have to have a horse," said Lance. 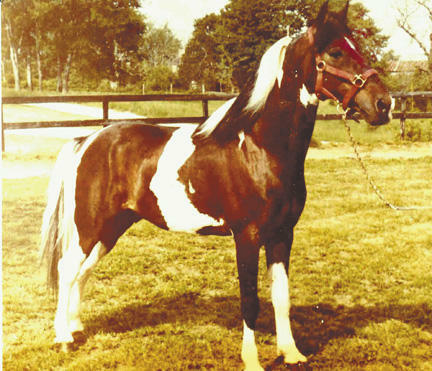 "When our forefathers started these trail rides, everyone had a Walking Horse, and the Walking Horse was such a big influence over the years, but this is for all breeds: mules, Belgians, quarter horses, spotted horses." Membership in the organization allows horseback riders to join both big rides plus several other smaller rides during the year and also allows use of the campground and land to camp and ride year-round. Over the years, the Cannon County Walking Horse Association has purchased more than 400 acres on Short Mountain for a campground and trail riding. "We have a piece of property where families have a place to enjoy cooking out and camping, and this keeps preserving horseback riding for generations to come for our children and grandchildren," Lance said. The weekend event features a dance from 8 p.m. to midnight Saturday. Horseback enthusiasts will hit the trails on Sunday, and there will be a fun horse show at 6 p.m. Sunday. Mrs. Elizabeth Bauman and her crew will provide food at their concession stand throughout the weekend. There also will also be C.C.W.H.A. T-shirts available for purchase. Most campers will camp until Labor Day. Happy trails!